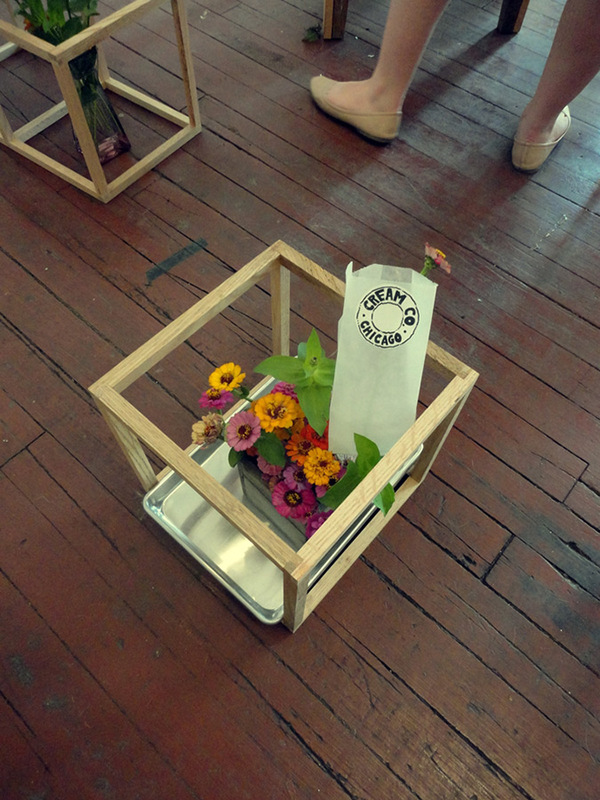 The theme of the Printer’s Ball was Push and Pull: push into activism by pulling together our resources. G.E.E.E. 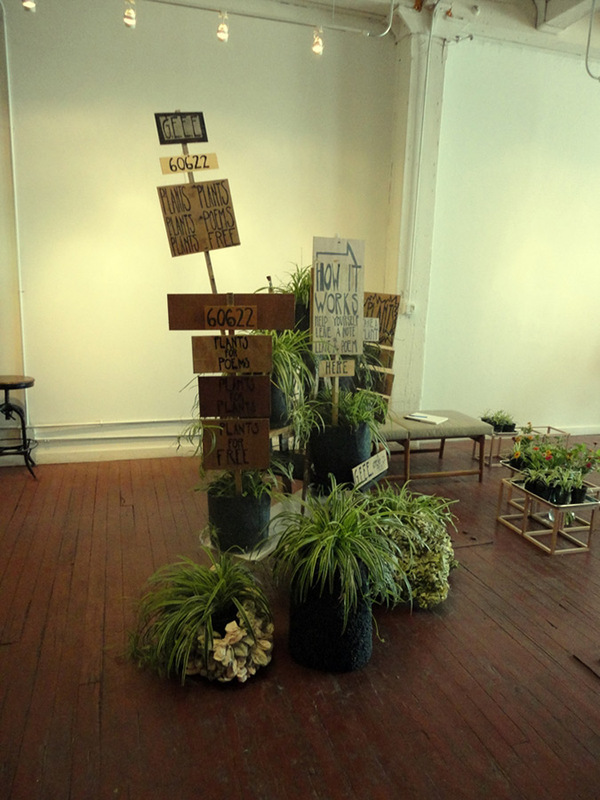 was such a good fit: pushing for an economy of trade and sharing by pulling our surplus of plants in exchange for the audience’s resource of ideas and language through poems and notes. 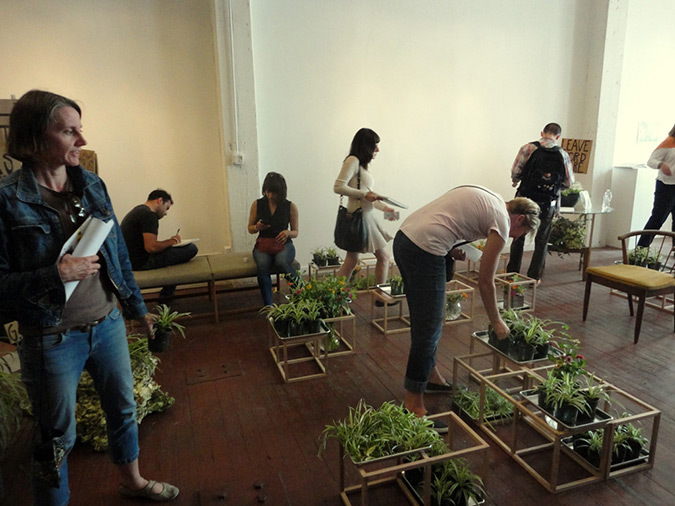 On this day, we offered our surplus of spider plantlets and zinnias for poems. Spider plants grow tendrils that constantly reproduce new plantlets that we are constantly harvesting. The display used the new gridded cube forms that Bob has been developing with baking sheets. The plantlets do quite well for long periods in a scant 1/16″ of water. Some of the plantlets, we potted, as well. 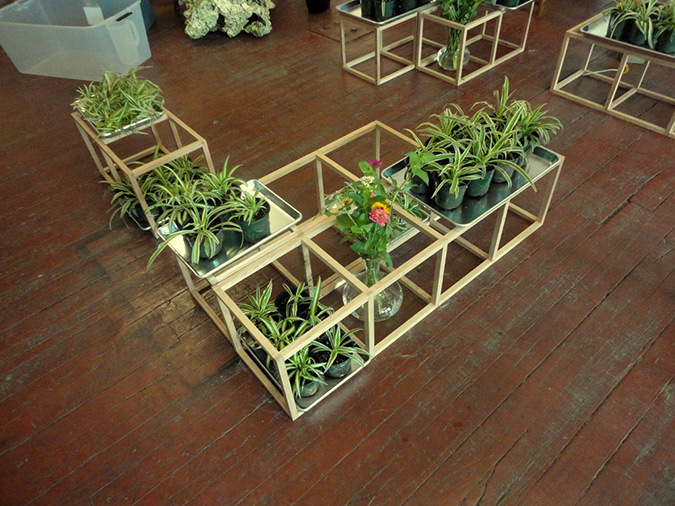 The new structures created by Bob were arranged in a labyrinth, displaying the spider plantlets and zinnia flowers. A bench, a chair and a table were available as places to write poems.